The users model and present their clothes themselves, whilst communicating simply and directly with other users about the goods in question. At the same time, the forums provide a space for discussions about fashion, lifestyles and social themes. 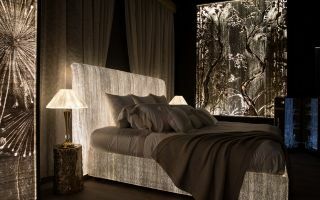 The purchases are neither anonymous nor automatic but take place through social interaction. Sellers, for example, may be asked to measure the sleeve length again or they may decide to send out the product in special packaging. Clothing at bargain prices, pleasant conversation, and a clear conscious – it sounds like a perfect combination. But what are the drawbacks? Perhaps the biggest downsides are the great variations in the quality, currency and, above all, presentation of the clothing. This is coupled with a relatively one-sided selection of brands – the very young target group tends to give rise to the predominance of low-priced labels such as H&M, Zara and Vero Moda. 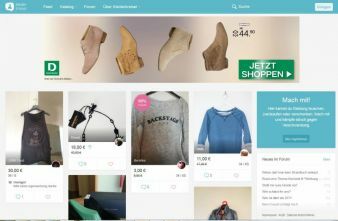 Used by approximately 1.5 million customers, Kleiderkreisel describes itself as the biggest clothes-swapping site in Germany, but the German offshoot of the Vinted platform is feeling the pressure from its competitors. The model is based purely on advertising revenues.